Anyway! 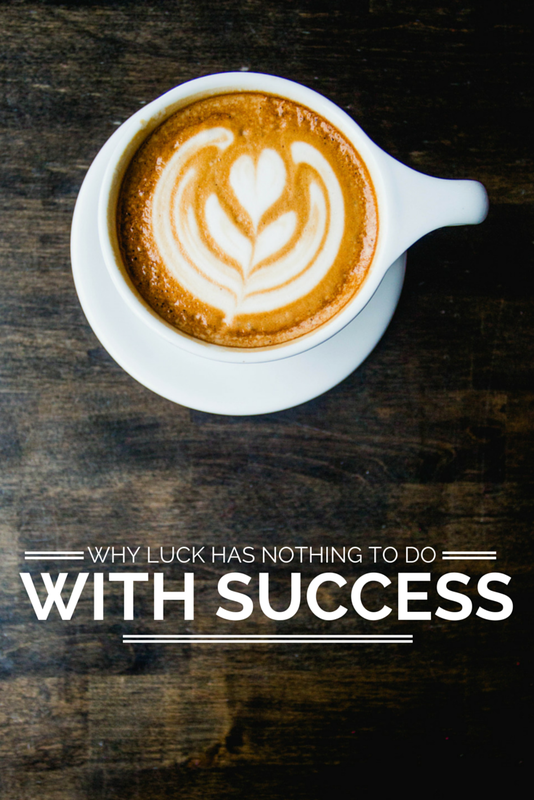 Here are five ways to create your own "luck!" This is one of the biggest, most scary and yet EXCITING things about being an entrepreneur (or just creating a life you love in general); you HAVE to be willing to take a chance! Starting a business can be risky and intimidating, but you have to overcome the initial fear of failure to get started. Failure or a setback doesn't mean that you didn't succeed, it means that you had the courage to TRY. It's not enough to simply dream about something, you have to actually TAKE ACTION to make that dream happen. I could sit around all day dreaming about how I'd like to one day create my own fun products like tees and tumblers (I'm totally going to make that happen!) but that isn't going to get me any closer to what I want unless I actually DO something. Are you willing to WORK for what you want? Because that's what it's going to take! But it will be worth it. And if you love what you're doing, even the "work" (on most days) will be rewarding and fun! Don't put off til tomorrow what you can get done today. If you run into a problem, find a solution or come up with a solution yourself! EVERYTHING can be figured out if you're willing to try. 4. Get used to hearing "no" and let it add to your determination! There are going to be plenty of people who are negative and don't believe in you. There are going to be people who don't want your product or service. You might hear "no" a hundred times before you get a "yes." Walt Disney's idea for opening Disney World was turned down over a HUNDRED times before he got some one to believe in his idea! There will be days that you might get frustrated and want to quit. Hell, there comes a point in every single race that I run that I want to quit SO bad. I ALMOST quit every time. But I don't, and that's all that matters. Take a day off (well, not if you're running a race obviously- DOH! ), refresh, relax and revisit why you wanted to start in the first place. So go on out there and start creating your own luck! Is there a dream that you want to pursue? Share it in the comments below, I'd love to be your cheerleader!